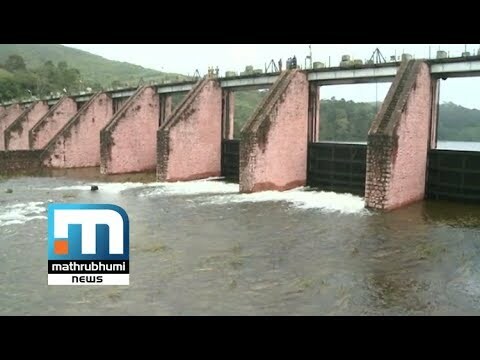 Idukki: The shutters of the Mullaperiyar dam are likely to be opened. Alert has been issued to the people staying in the banks of Periyar. The Kerala Chief Secretary in the newsletter has directed the people living in the banks of Periyar to shift to relief camps as per the directions of respective district collectors. Connect with Mathrubhumi News: Visit Mathrubhumi News's Website: Find Mathrubhumi News on Facebook: ----------------------------------------------------- Mathrubhumi News (മലയാളം: മാതൃഭൂമി ന്യൂസ്) is a 24-hour Malayalam television news channel and is one of Kerala's most viewed TV channels. Owing to its varied presentation style and reliable content, Mathrubhumi News has become the fastest growing news channel in Kerala. More than just a news channel, Mathrubhumi News features a host of programmes that relate to various aspects of life in Kerala. Some of the frontline shows of the channel include: Super Prime Time, the No.1 prime time show in Kerala, the woman-centric news programme She News and Nalla Vartha a news program that focuses on positive news. Mathrubhumi News is an initiative by The Mathrubhumi Printing & Publishing Co. Ltd. Mathrubhumi News. All rights reserved ©.